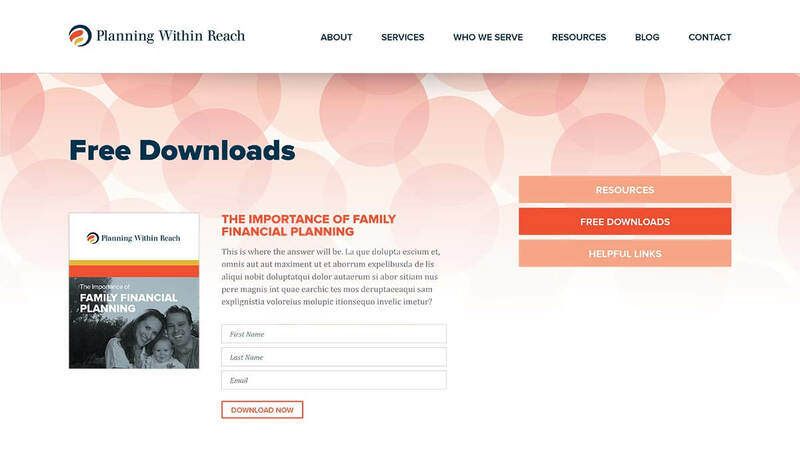 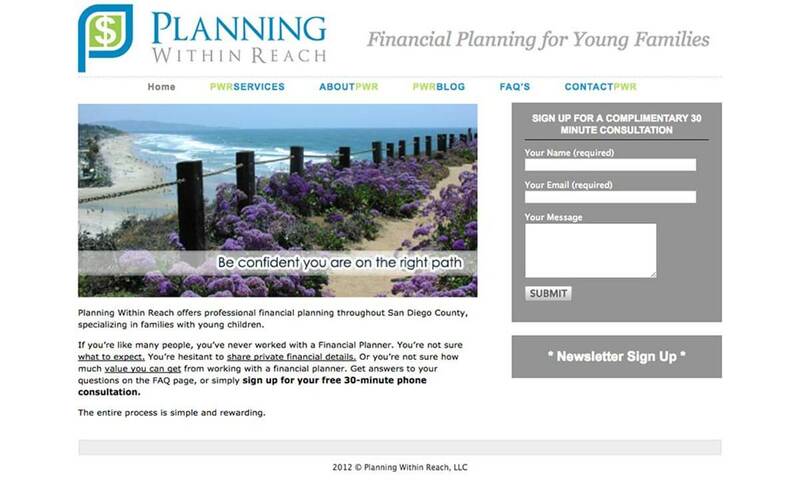 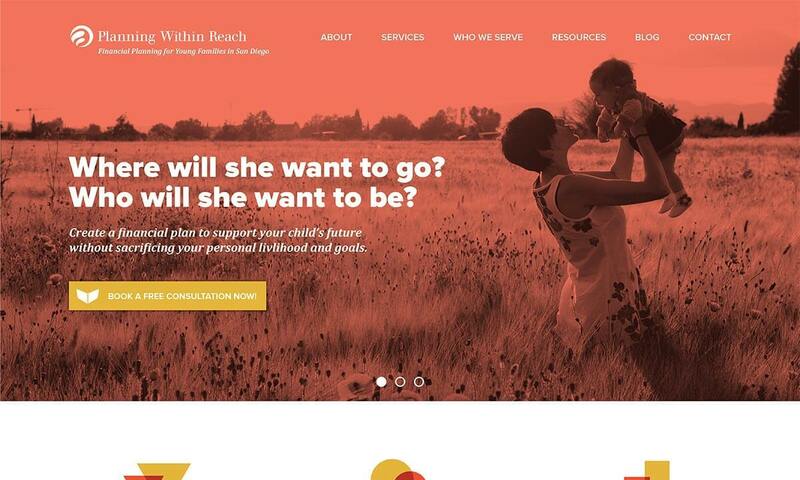 Planning Within Reach is a San Diego financial firm that helps new families and young individuals plan for their long-term financial future without the hassle and stress of a long-term commitment. 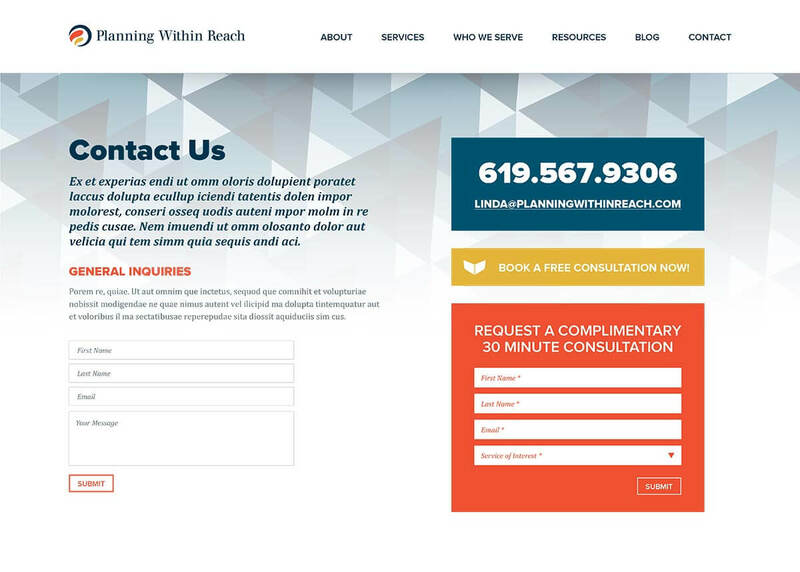 The new logo design, created by Bop Design, illustrates the value and attention a client can expect from the firm and showcases the brand as young and inviting. 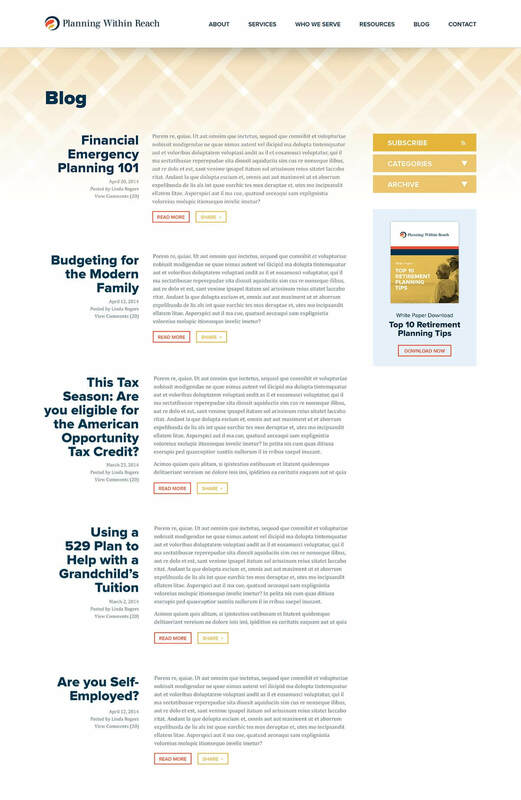 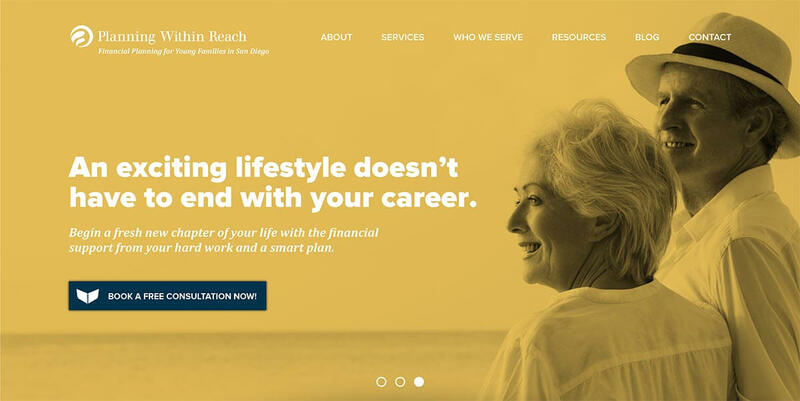 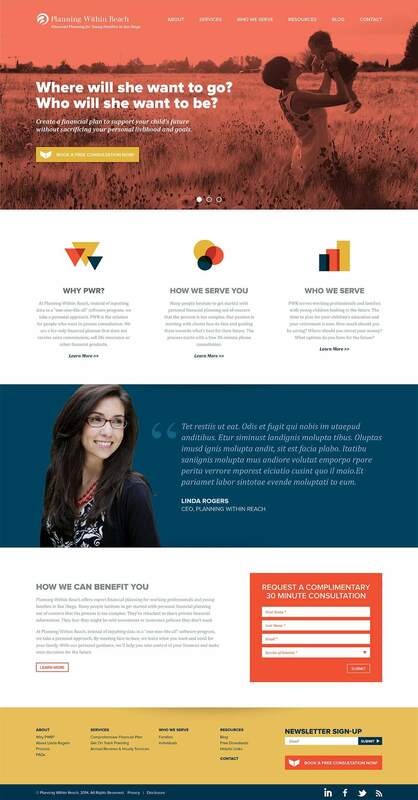 The Bop team created a financial website design that was more youthful and inviting for San Diego individuals seeking financial guidance for the first time.